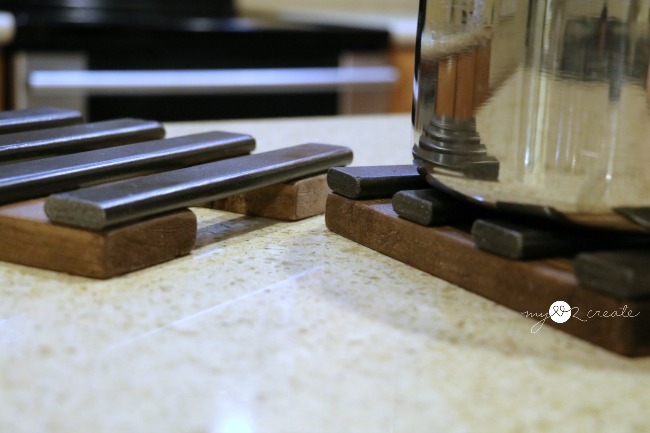 Today I am sharing some Simple DIY Trivets! 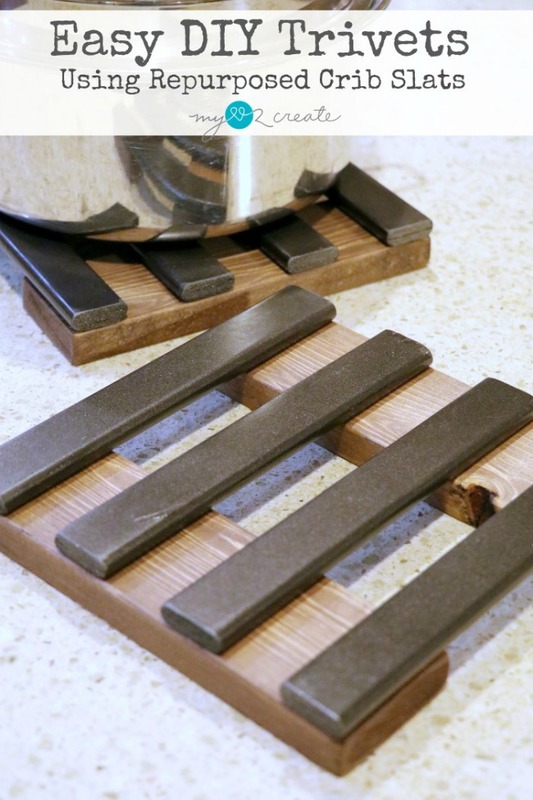 For the longest time I had no idea what a trivet was, but basically it is like a hot pad for your pans but nicer and not made out of cloth. 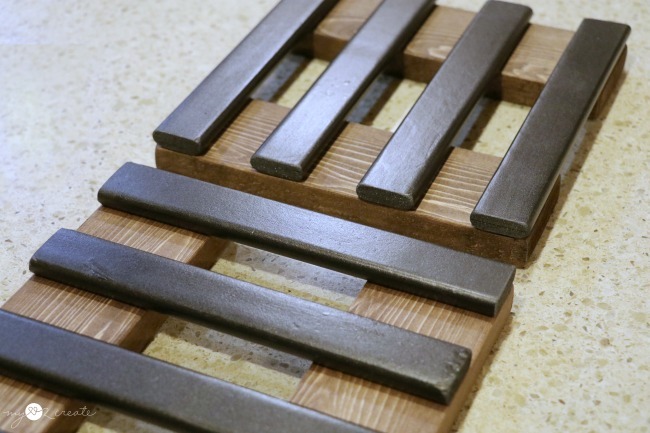 I first shared these fun trivets at My Repurposed Life as a contributor post. I have been wanting to make some of these for a long time, because I have the ugliest hot pads. I am totally serious, they are...yuck. I thought some trivets for the dinner table would be worth an hour or so of my time. And I was so right! These are quick, easy and super cute! 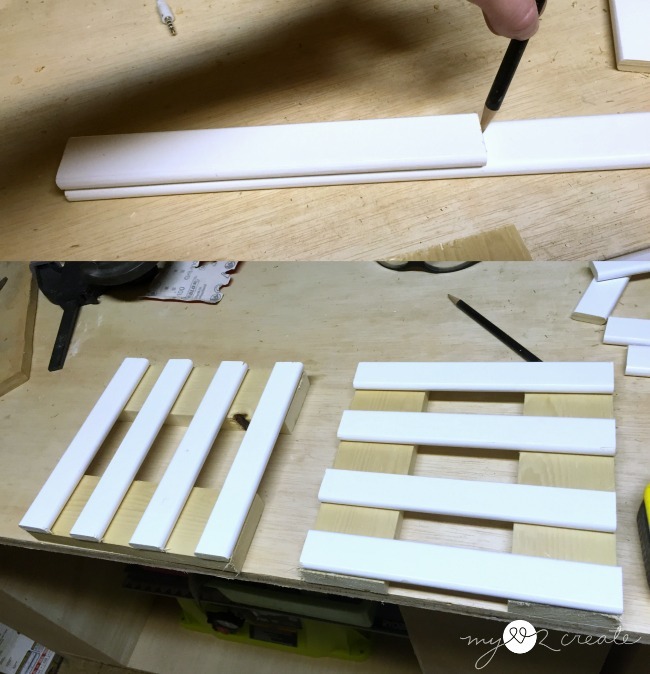 How to make two 8'' square trivets: This post contains affiliate links, read more. I had some left over crib slats from when I turned an old crib into a dog crate. I knew they would be perfect for this project, I also grabbed a scrap 1x3 board. 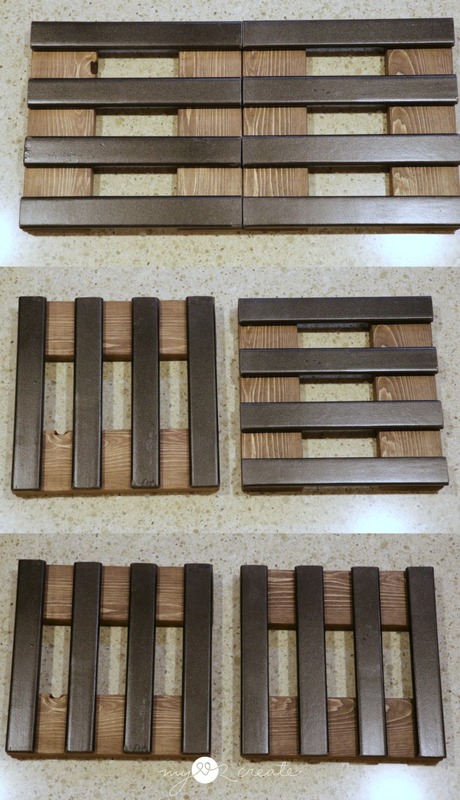 To make my trivets 8'' square, I cut my 1x3 boards to 8'' each. Then I tried several different designs with my crib slats, and finally ended up with the simplest one, just stripes. After cutting all my slats to 8'' I did a quick dry fit on my bottom 1x3 boards. You can modify the size to whatever you want! That is the best thing about doing it yourself, make them to fit your pans! After some debating back and forth I decided to stain the wood with Rustoleum Kona stain or Varathane. 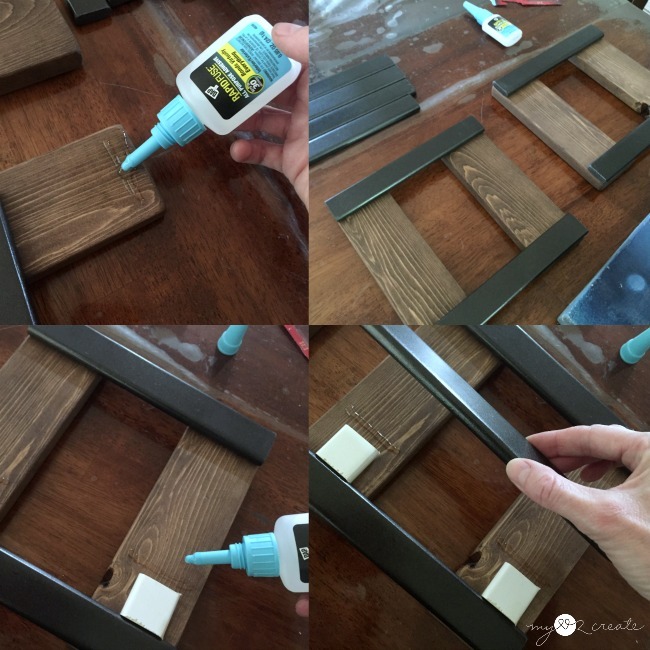 I did use pre-wood conditioner before I stained the boards because this is soft pine and it helps the stain go on evenly. 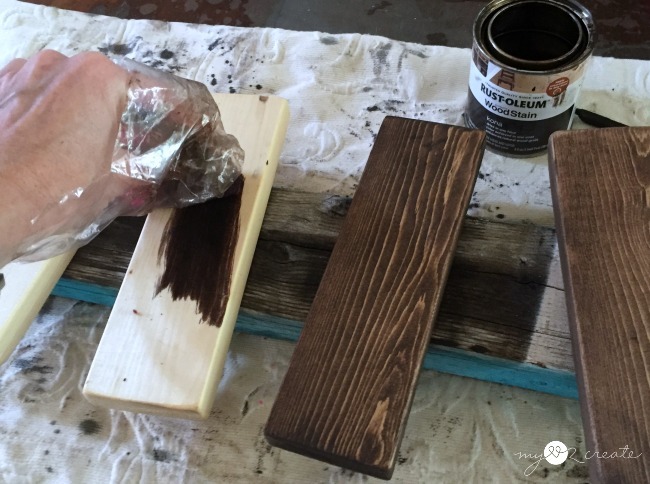 Tip: When I use this brand of stain, I like to rub it off right away, after applying it to a small section. I have found that works best for me, instead of letting it sit longer. ...I used the wrong kind of spray paint, ugh! I learned that the hard way, brain freeze! 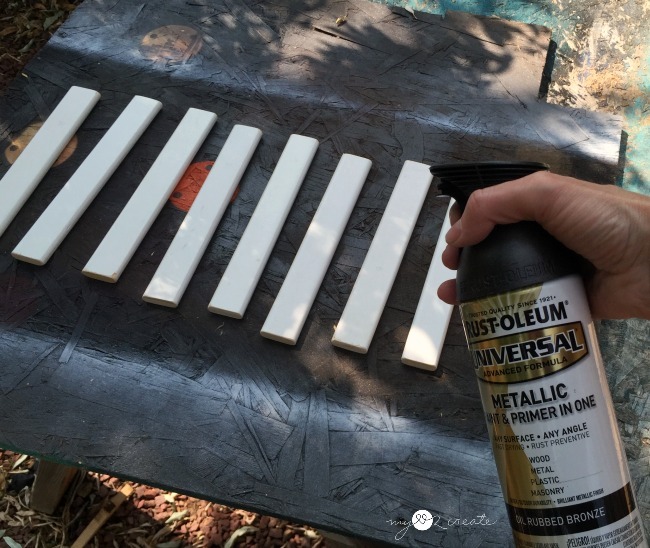 Make sure to use a High Heat Enamel Spray , because you will be dealing with HOT pans, TRUST me! Learn from my mistakes. Ok, we are good, moving on. Now for the the fun part! This is the first project I have tried using DAP Rapid Fuse , and I LOVE it. 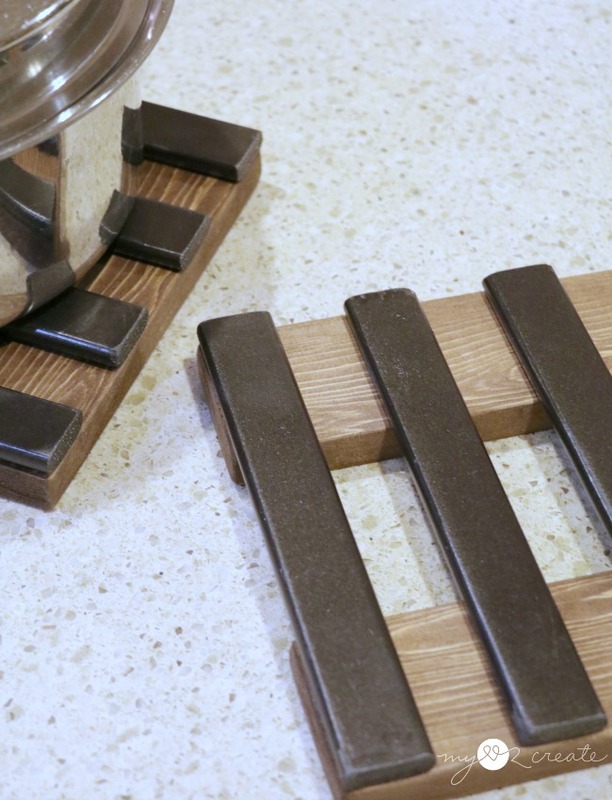 It fuses basically to any surface, you just hold it in place for 30 seconds and done! Plus it is ultra strong and cures in half an hour. I can see me using this a TON more in the future... Oh, and yet another do as I say and not as you see me doing...USE gloves, just trust me on this one. Good grief, at least I can make the mistakes so you don't have too! 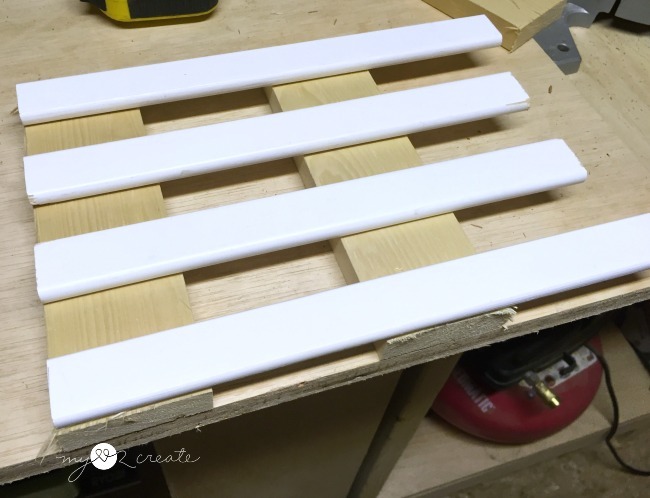 Anyway, I used it to glue the crib slats onto the 1x3 boards to make my trivets. 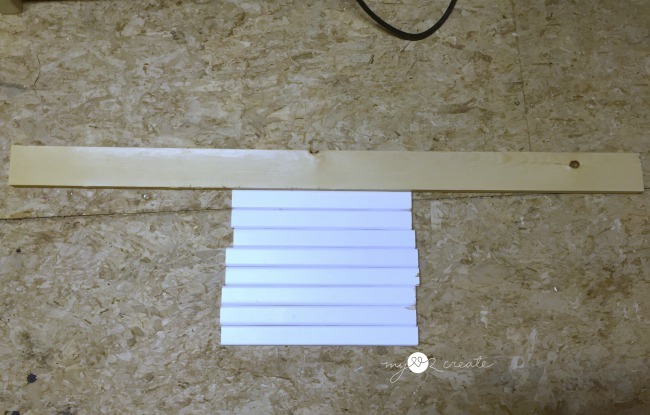 I decided to cut spacers so I didn't have to measure and mark for where my slats needed to go. They worked like a charm. Even though this is a simple design, it can also be versatile. You can push them together for larger pots and use them separate. I am thrilled with how they turned out and they will totally spruce up dinner table. 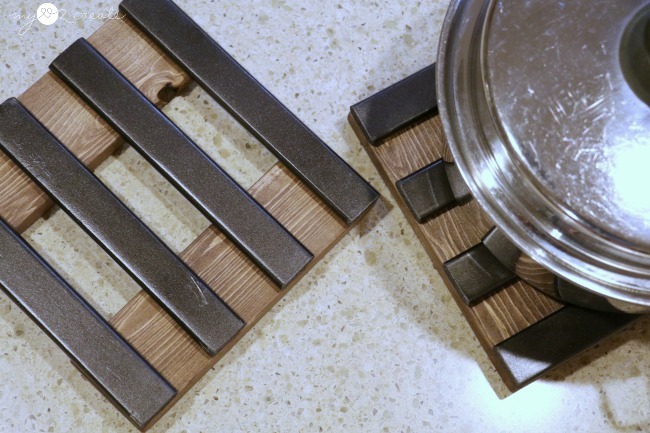 Do you use trivets in your kitchen?